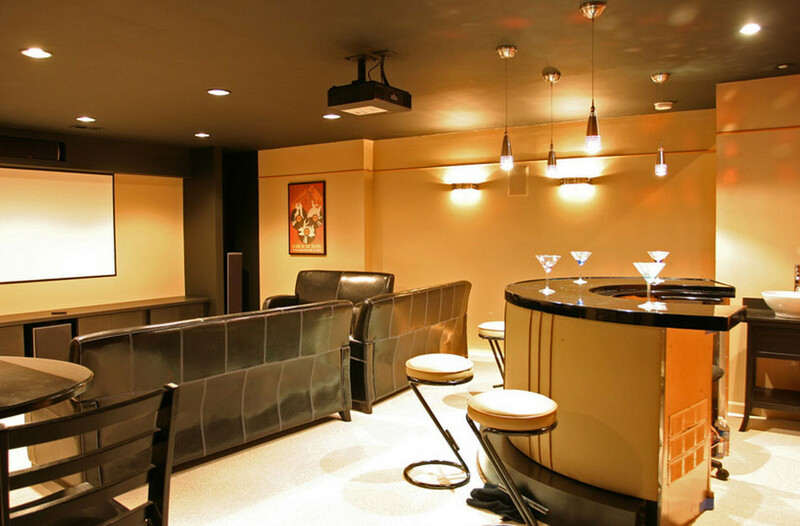 A bar in the basement can look as hospitable as the one shown in the picture. First you need a counter and a set of stools. A golden yellow wooden bar counter with a black top looks good and simple stools with a yellow sitting pad are just behind it. There is a recreation area with sofas and a white screen. Floor is painted white and you have lots of lights on the ceiling.